allkpop THE SHOP's third collaboration is with VIXX for their Fantasy comeback! These items are limited edition, so don't miss out! allkpop THE SHOP products are designed and printed in-house in the USA, to ensure a premium fit and finish. 80/20 Cotton/Poly Blend, Front and Back Design, Embroidered Hood. Official collab merchandise is available only on allkpop THE SHOP. All items will have a hologram sticker to prove the authenticity of the product. These items are final sale only, no exchanges/returns as they are limited edition items with limited quantities. First batch of shipments will begin on 9/1/16. Last orders will be accepted on 9/8/16. The hoodie came just as described. 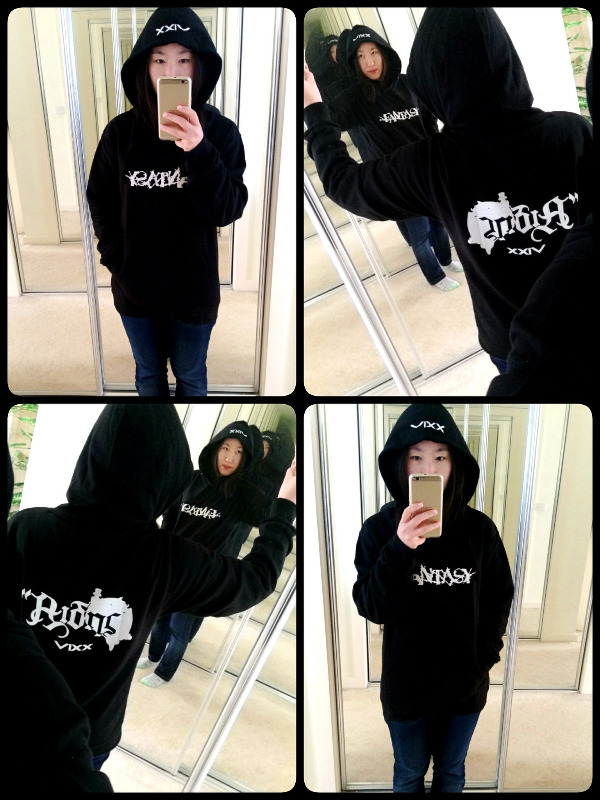 The material is so soft and the lettering is a crisp white that looks nice against the black of the hoodie. It is big, (loose and baggy) and my go-to hoodie for cold days. I love it. Highly recommend making a hoodie purchase from AKP, you won't regret it. 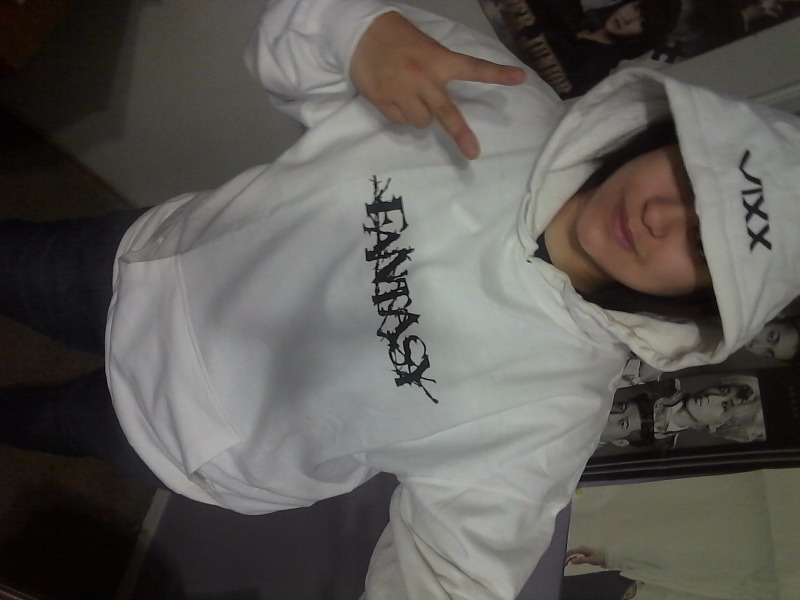 I had bought t-shirt from this site before and I just had to have to VIXX hoodie. It was my first hoodie purchased and I will never regret it. So comfortable, large in size and just perfect. This sweater went above and beyond my expectations! ( ) Soft ( ) Baggy/loose fitting ( ) Quality printing ( ) Quality stitching The only con that I have about this is that I was left feeling regret for not purchasing more! Thank You for doing this collaboration with VIXX! I became a fan of them for about 3yrs now. Anyway I love the quality of the hoodie and the way it felt when wearing it. Didn't want to take it off though it will eventually become slightly cold next month- in time for sweater weather. And I like it how it ships very quickly; and there were no damages. Thanks Again Allkpop! Hope to see another popular kpop collaboration!